Garlic is high in sulfur compounds. These compounds are potent extractors of toxic heavy chemicals in your body. They bind with chemicals so that they can be excreted, instead of taking hold in your organs and causing damage. These sulfur compounds could also be effective at protecting against oxidation and free radicals. Garlic is also a natural antiseptic. It can be used both inside and outside your body to fight infection. Garlic could help lower your blood pressure and reduce bad cholesterol levels. Now researchers have added another health benefit to this list. 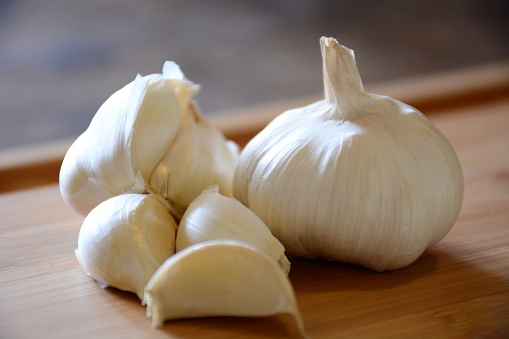 In one animal study, garlic was proven to be effective in maintaining hemostasis and slowing the progress of heart disease. Garlic was also good for reducing the tension in the walls of the blood vessels in the heart. It appeared that turmeric had similar heart-protective benefits. In Indian cooking, “curry” is a word that simply means “sauce.” Curry is made up of a combination of spices, the main ingredient of which is usually the yellow spice, turmeric. And turmeric contains something called “curcumin.” Curcumin has well-known medicinal properties. It has been linked to easing the symptoms and damage caused by diseases such as cancer, diabetes and HIV. Turmeric has also been regarded as a natural antibiotic. It is thought to purify the blood and stimulate the formation of new blood tissue. And nutritionists have said that turmeric could help regulate the metabolism, correcting both excesses and deficiencies, which can lead to weight gain or weight loss, respectively. Turmeric may also play a role in the digestion of high-protein meals and, for this reason, it makes an excellent addition to beef and chicken entrees. When using garlic, here a few things to remember. Crushed raw garlic contains allicin, a compound that breaks down into a whole host of other healthful compounds — it’s like an amazing chain reaction taking place right in your own body — so eat it in this form if you can. If you don’t like the biting taste of raw garlic, you can cook it or use it powdered. You’ll still get most of the health benefits this way. Remember to mince finely, however. And if you’re going to cook garlic, crush it first, as this will help stimulate its healing compounds.